Please enjoy these Quotes about Farewell and Friendship from my collection of Friendship quotes. It was a perfect night for a train. The occasional whistle told Louis of all the farewells he had ever known. 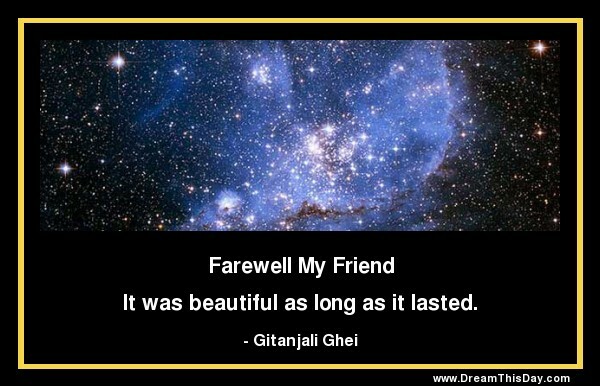 Thank you for visiting: Quotes about Farewell and Friendship - Farewell Quotes.